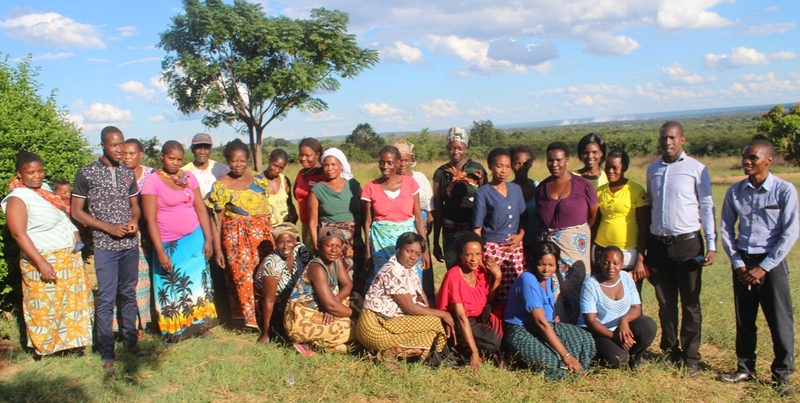 DEVELOPMENT Aid from People to People and Response Network is helping vulnerable women in Livingstone’s Mwandi township fight poverty by saving and lending each other money for small scale businesses in a system known as Self-Help Groups. 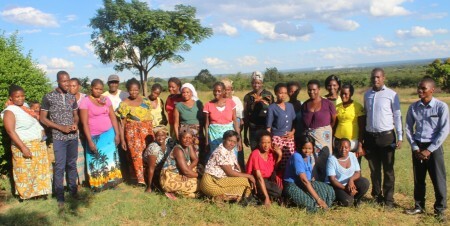 The Self-Help Groups or SHGs in short are a community based financial intermediary committee usually composed of 10–20 local women or men; however, a mixed group is generally not preferred. According to Joseph Daka, who is Response Network (RN) DAPP facilitator, the concept of SHGs is to end poverty by empowering women and developing leadership abilities among poor and needy people. In Livingstone’s Mwandi township, DAPP and RN have established SHGs under the Zambia Family South-Central programme known as ZAMFAM. Hope Action SHG coordinator Clare Mbuzi says the group has 23 registered members but only 20 were very active. “We have two male members in our group and from January to date we have saved a total of K8,871,50 out of which K1,511 has been given out to members on a credit scheme,” Mbuzi says. She adds that members occasionally make follow-ups as to encourage them to be active. Mbuzi adds that through DAPP and RN, they have learnt how to write financial reports, and have enacted their own constitution. “Apart from writing financial statements, we have also been educated on how to solve problems. One of the problems we have managed to sort out is the issue of meeting attendance as some members used only to come for meetings when they have personnel problems, but we have educated them that they can even come for a meeting when they don’t have money to pay for savings and that they can pay later,” Mbuzi says. And Luckness Katanga, coordinator of the Tugwashane (which in Tonga literally means ‘let’s help each other’), says she personally never used to do anything apart from being at home and waiting for her husband to provide for her family’s requisites. Katanga says she now makes fritters which she sells to pupils and the general community. She adds that her SHG has managed to save K2,480 after being trained in SHG concepts by DAPP and RN. Katanga says K1,900 has been loaned out to her members who have to re-pay the loans with 10 per cent interest. “We are 16 in our group and all have individual businesses and we help grow each other’s business by encouraging each other or through the provision of customers,” she says. And federation SHG coordinator Gertrude Simombela says her group has 14 active members and has since January raised K9,500. She says the group had learnt a lot from DAPP and RN in terms of poverty eradication through savings and borrowing. Simombela adds that like all the other clubs members have to pay K2 Social Fee which is used to cover expenses for general emergencies of a group member such as illnesses or funerals. She says like all clubs, K10 monthly contribution is paid towards the growth of the SHG income which is given out as loans to members once they have repaid the outstanding credit. “We all have a system of paying K10 as monthly contributions to the SHG pool fund and K2 every week as social fee. The clubs have all decided that we should be meeting once in a week so the Social Fee is paid at every meeting session. We have a leadership committee which includes a treasurer for accountability,” Simombela says. She adds that each group is able to raise different amounts of money depending on membership and credit repayment rates. Simombela says a lot of women in Mwandi are widowed or single mothers and that the introduction of SHGs has greatly mitigated poverty and helped reduce the spread of sexually transmitted infections. vital statistics of the club. And DAPP ZAM-FARM Livingstone project leader Abyshy Hachiwa says the women, armed only with knowledge from DAPP and RN, managed to be self-sustaining despite the low savings that they faced. He also promises that DAPP will assist the SHGs by putting up a children’s playpark in Mwandi, resources permitting.